We can install and/or migrate all your reports in a timely. We offer SQL SSRS 2017 based hosting plan from just $5/month. SQL Reporting Service (SSRS) 2017 Hosting is Here! 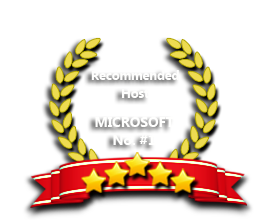 ASPHostPortal.com Windows ASP.NET hosting plan is compatible with the SSRS 2017 web hosting management and collaboration application. Microsoft Reporting Services 2017 has many exciting features. You can show your business data on Maps, Charts including Sparklines, Data bars and Indicators. SQL Server Reporting Services will gain charting capabilities from the integration of the data visualization products from Dundas Data Visualization Inc., which was acquired by Microsoft. We are always providing support for the latest versions of SQL Server Reporting Services. Our Windows Cloud Hosting fully supports SQL Server 2017 Reporting Services hosting. You are more than welcome to try our Free Windows Cloud Hosting before you decide to buy. You can get your Free Cloud Windows hosting account up and running within the next few minutes.